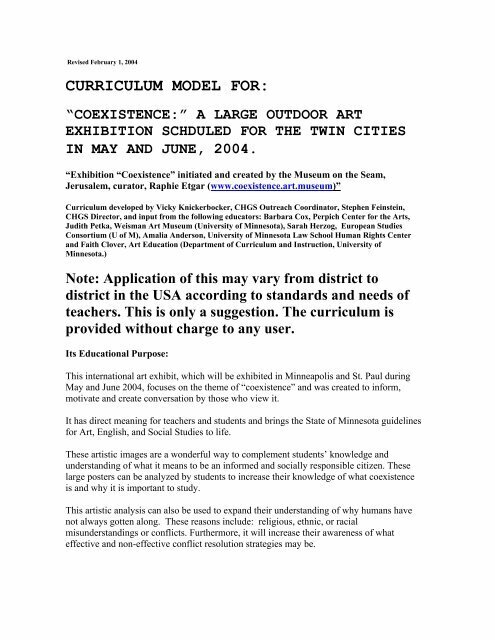 Revised February 1, 2004 CURRICULUM MODEL FOR: “COEXISTENCE:” A LARGE OUTDOOR ART EXHIBITION SCHDULED FOR THE TWIN CITIES IN MAY AND JUNE, 2004. “Exhibition “Coexistence” initiated and created by the Museum on the Seam, Jerusalem, curator, Raphie Etgar (www.coexistence.art.museum)” Curriculum developed by Vicky Knickerbocker, CHGS Outreach Coordinator, Stephen Feinstein, CHGS Director, and input from the following educators: Barbara Cox, Perpich Center for the Arts, Judith Petka, Weisman Art Museum (University of Minnesota), Sarah Herzog, European Studies Consortium (U of M), Amalia Anderson, University of Minnesota Law School Human Rights Center and Faith Clover, Art Education (Department of Curriculum and Instruction, University of Minnesota.) Note: Application of this may vary from district to district in the USA according to standards and needs of teachers. This is only a suggestion.  The curriculum is provided without charge to any user. Its Educational Purpose: This international art exhibit, which will be exhibited in Minneapolis and St. Paul during May and June 2004, focuses on the theme of “coexistence” and was created to inform, motivate and create conversation by those who view it. It has direct meaning for teachers and students and brings the State of Minnesota guidelines for Art, English, and Social Studies to life. These artistic images are a wonderful way to complement students’ knowledge and understanding of what it means to be an informed and socially responsible citizen. These large posters can be analyzed by students to increase their knowledge of what coexistence is and why it is important to study. This artistic analysis can also be used to expand their understanding of why humans have not always gotten along. These reasons include: religious, ethnic, or racial misunderstandings or conflicts. Furthermore, it will increase their awareness of what effective and non-effective conflict resolution strategies may be.